This is the iron-heated time when the Nepali media should embark on a journey that involves work, which has to be done creatively, responsibly and cautiously so that strengthening peace, as well as consolidating participatory and inclusive democracy through drafting a new constitution can be materialized. This, in reality is a very difficult task where media at first should get inhaled and then disseminate it to the people through their respective media outlets in a simple language. As the country moves on towards the CA election which will write a new constitution, a sustained and systematic plan has to be put to work for removing hurdles and existing confusion regarding the processes to reach the goal. NMDC, a media training center purposes to run a series of training programs to the district journalists across the country to meet the current demands. Nepali media do break event stories about government debate, dissatisfaction, political developments, and other news; they seldom go beyond the basics for serious analysis and investigation. As an example, what “constituent assembly is” “what are the electoral process and system” “what are the rights of the citizens” means — beyond that its product is a new constitution — has so far not been part of public dialogue. It was therefore necessary to sharpen the understanding of journalists on CA, civic and voters education and their roles and responsibilities. The overall objective of the training seminar was: To empower district journalists to strengthen the national response to build democracy. To enhance the capacity of understanding of journalists on democracy, CA election, civic and voter’s education and their professional roles and responsibilities. The two-day program was conducted as per the content agreement with FES Nepal. The program focused on transferring of skill, knowledge and expertise on democracy, constitution, constituent assembly, civic and voters education and the roles and responsibilities of journalists. 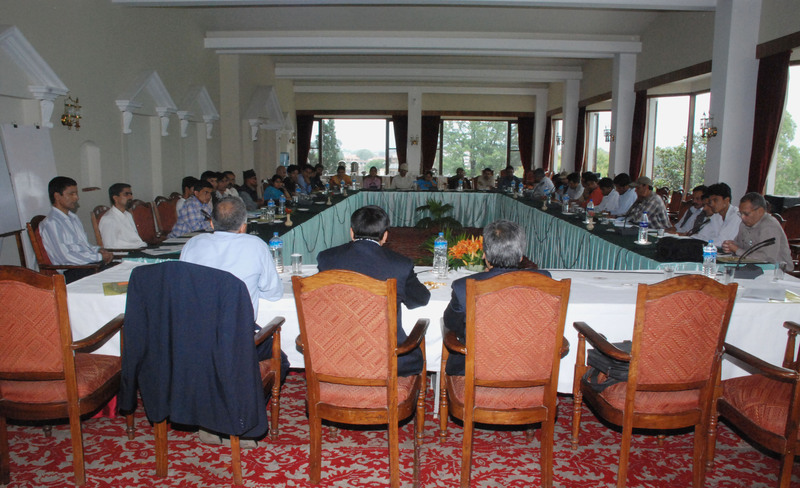 As per the strategic plan of NMDC, this is the second program organized in Kathmandu in cooperation with FES Nepal. 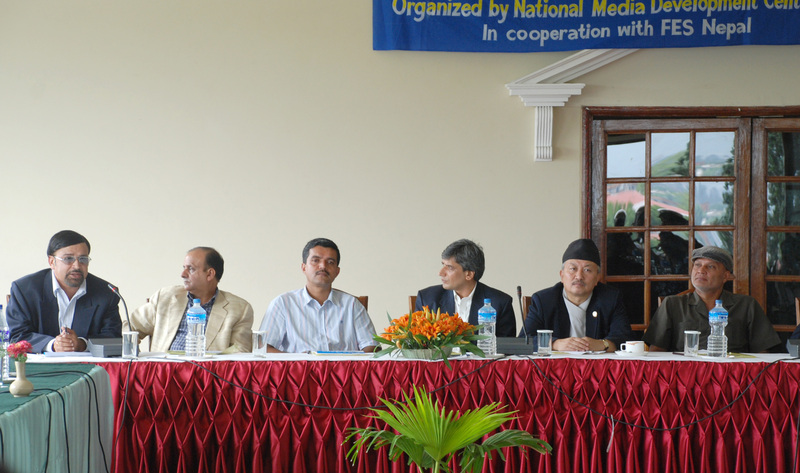 (The first program was organized in Palpa in cooperation with Department of Information). INMDC invited journalists from Kathmandu, Lalitpur, Bhaktpur, Nuwakot, Kavre and Sindhupalchowk to participate in the program. Journalists from Dhading, Rasuwa, Dolkha and Ramechhap will be invited in other programs. Journalists of regular (on the basis of Press council report) newspapers and FM radios were invited. NMDC in consultation with FES adopted a clear, inclusive policy while selecting the participants. NMDC invited media trainers, women journalists, dalit journalists and journalists from ethnic minorities and marginalized and disadvantaged groups. Attention was also given to the senior journalists who usually did not get opportunity to participate in such a program. The target members of this two-day training seminar program were the editors and reporters of newspapers (daily, weekly, fortnightly and monthly research and investigative magazines) and FM radio stations. This program gave high priority to journalists of reputed weeklies and magazines who usually get less opportunity to participate in such a programs. 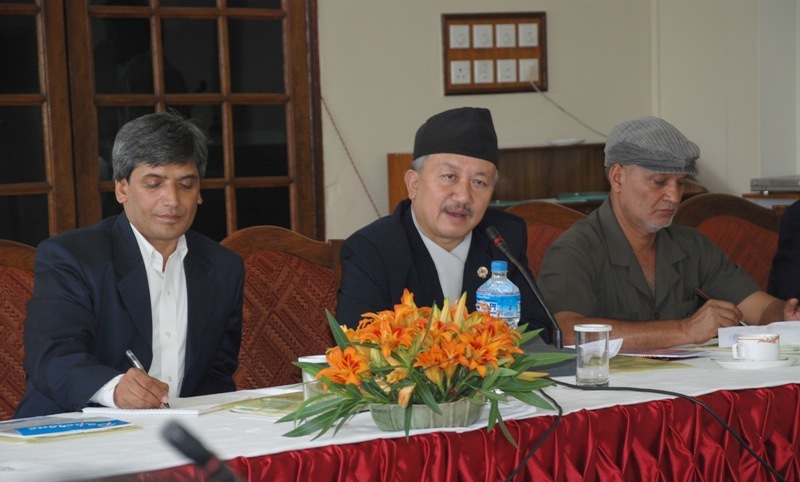 NMDC took suggestions from PCN, FNJ and FES while selecting the representatives. It gave high priority to woman, janajati, madeshi and dalits. Journalists sharpened their understanding on the roles and responsibilities during CA election reporting. On the basis of the developed criterion, NMDC sent written invitation letters to the journalists of national dailies, weeklies, fortnightlies, investigative and research monthly magazines and FM radios stations. It also invited journalist representatives from women, media training institute, Aadibasi Janajati Journalist Association, Jagaran Media Center, Medhshi Journalists Association, Journalists from Ethnic Minority and dalit. A total of 57 journalists from print- daily, weekly, fortnightly and monthly magazine and electronic FM radio stations and TV actively participated in this two-day program. The list of the journalists and media is attached in Annex ‘A’. They included senior working journalists, editors, media trainers from 6 different districts including Kathmandu, Lalitpur, Bhaktapur, Nuwakot, Kavre and Sindhupalchok of Bagmati Zone. Apart from Bagmati zone there were one from Surkhet-Mid west and other from Mahendranagar- Far west. The details of the participants on the basis of Media, Gender and Ethnicity and Districts are given below.